International Intellectual Property Attorney, and Strategic IP Advisor. Ranjan founded the specialist IP law firm, RanjanNarula Associates (RNA), in 2004, and is now its Managing Partner. He has twenty years’ post qualification IP experience, both contentious and non-contentious, working in-house in the legal department of Burmah Castrol (now BP) for more than three years. 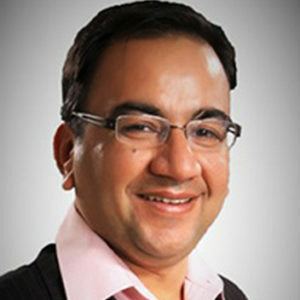 Ranjan was a partner of the leading international IP consultancy firm, Rouse, for 10 years, heading its India practice. This combination of in-house, and international experience has given Ranjan both an acute awareness of the need for commercial solutions, and an understanding of the highest levels of international IP service. Ranjan has worked on over 500 civil and criminal actions for clients in various industries including the IT, telecom, apparel, FMCG, confectionery, beverages (alcoholic and non-alcoholic), and finance industries. Currently, he advises a wide range of IP holders on IP management issues, providing strategic advice in relation to IP clearance, acquisition, protection, exploitation, and enforcement. Ranjan has been ranked as a leading IP practitioner by various publications including WTR 1000, Who’s Who legal,Asia IP experts and others. Ranjan is a regular contributor to various IP journals, and has served on the editorial board of the leading international trade mark publication, Trademark World. He is also a panellist for the ‘.in’ domain Registry.